Photo Credit: Guinness & Co.
Malts Black Patent Malt, ? 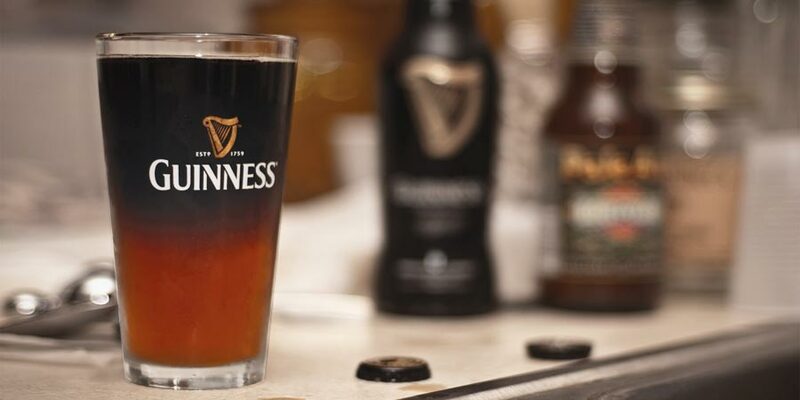 Guinness continues to delve into their records and bring back old recipes. This anniversary Export Stout comes to us from 1817, which is the year that the first Guinness beer made the journey across the Atlantic and landed on American soil. According to the history on Guinness’s website, 8 hogshead (512 gallons) of porter were sent to a John Heavy in South Carolina back in October of 1817. So, this date marks the start of a long, beautiful, and very lucrative relationship for Guinness. 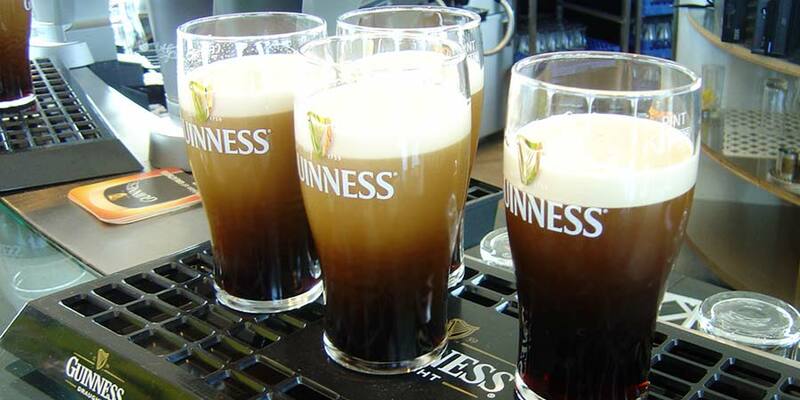 America is the third highest consumer of Guinness in the world. Only Ireland and the United Kingdom have the U.S. beat. The recipe for this anniversary stout is based on the 1817 original from Benjamin Guinness, son of Arthur Guinness. 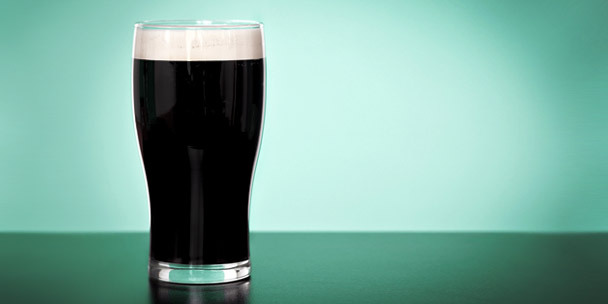 Not only does the beer mark this seminal moment in history, but it also highlights the fact that this was the first Guinness recipe where black patent malt was used. From here Guinness was just a short step away from roasted barley, and the flavors that would become synonymous with their most popular beers. It seems this beer is not just a celebration of the past, but a kickoff for the years ahead. In 2018, Guinness will be building the first Guinness brewery in the U.S. since 1954. It will be built in Baltimore, MD and will also be the first Guinness brewery built to a very specific purpose. That purpose will be two-fold. 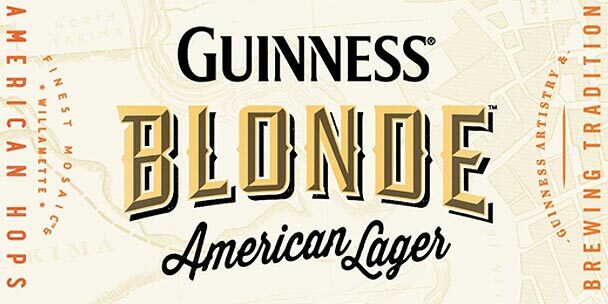 It will become the center for brewing Guinness Blonde American Lager and it will become Guinness’s test bed for their small scale brews. Things like their Rye Pale Ale and those forays into the breweries past like the West Indies Porter and this one. The name of the new brewery, Open Gate brewery & Barrel House also seems to indicate the possibility of ventures into barrel aging. Which, what can I say? Always gets me excited. 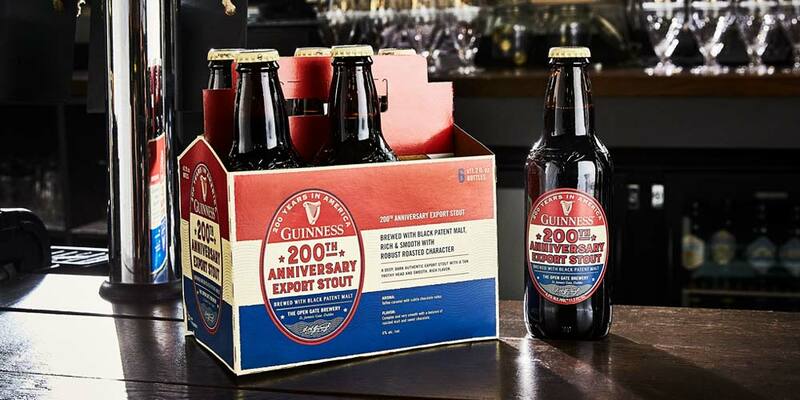 Below are the tasting notes I took while drinking Guinness’s 200th Anniversary Export Stout. If you tasted this beer or you have a pint in front of you as you read this review, please share your thoughts and tasting notes with everyone down in the comments below. This stout pours what looks to be an intense and opaque black, but when held in direct sunlight you can see the rich brown along the edges and a hypnotic flash of ruby drifting in the depths. Head is everything you’d expect from a Guinness stout; small bubbled and dense. Light tan in color it climbs to a good three fingers (poured slightly aggressive). Over a couple of minutes the head drops to about a finger leaving curtains of lace to dress up the glass. Aromas is of caramel, light chocolate and roast, very slight coffee around the edges. It has a noticeable dark stone fruit backdrop of cherry and prune. Body is a solid medium, full and lush, running smooth and creamy across the palate. Light astringency, though from roasted malt or a brush of hops it’s hard to say and likely a combination of the two. It rounds out the journey with a medium drying finish. Flavor brings a robust, but pleasantly smooth and integrated complexity. Has the light acidity of deep roast, just walking the line of burnt. Notes of sweet chocolate and dark stone fruit flirt with the tongue on the sip. Very light bitterness takes the edge from the caramel/chocolate while still leaving the scales tipped in that direction. Aftertaste is of drying roastiness. This one does Guinness proud. It waves the anniversary banner with enthusiasm, bringing notice to an important and little known piece of the brewery’s history. From its appearance in the glass — I dare you to hold it up to good sunlight and not be mesmerized by the small deep ruby secreted in the liquid — to its easy-drinking, smooth body and the pleasure of just enough complexity, this beer knows what it’s about. 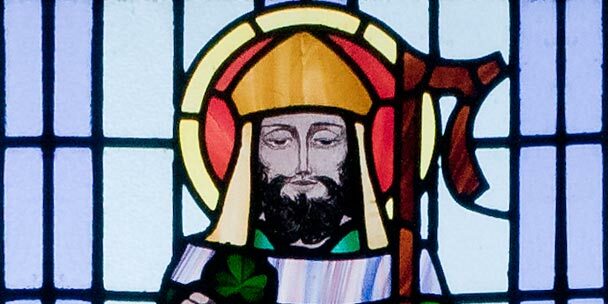 So, take a moment and consider how much different our St. Patrick’s Day celebrations would be (not to mention all those other days you just feel the need for their iconic stout) without this Juggernaut of the brewing world around. Yeah, pretty sad imagining it, isn’t it? Now wipe those tears away, stop those silly imaginings, smile big, and raise a glass of Guinness Anniversary stout. Guinness is here. And after 200 years, they are here to stay. 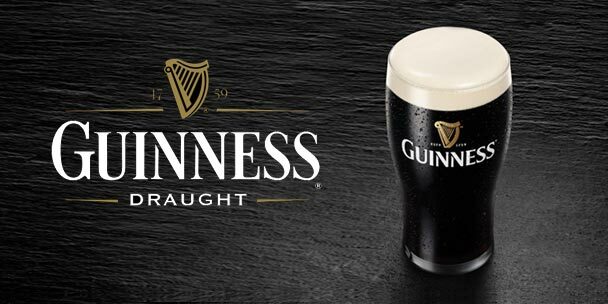 Not that Guinness has never been my first choice when I think of an adult beverage, yes I have enjoyed each one. Now that I tried the Export Extra Stout . Now I wish I had bought every @#×$÷=/” bottle in the state.